April & May - 10:00 a.m.
June, July, & August - 9:00 a.m. and 3:00 p.m.
September & October - 10:00 a.m.
What to bring? A towel, bathing suit, hat, sunglasses, spare T-shirt and wet shoes, sunscreen, and refreshing drink. Not recommended for nonswimmers and people with the back problem. In front of St. Francis church (Sveti Frane), in the west part of the Riva promenade in Split. 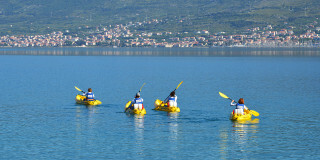 Take full advantage of Croatia's rocky coast on a deep water solo trip in Split. 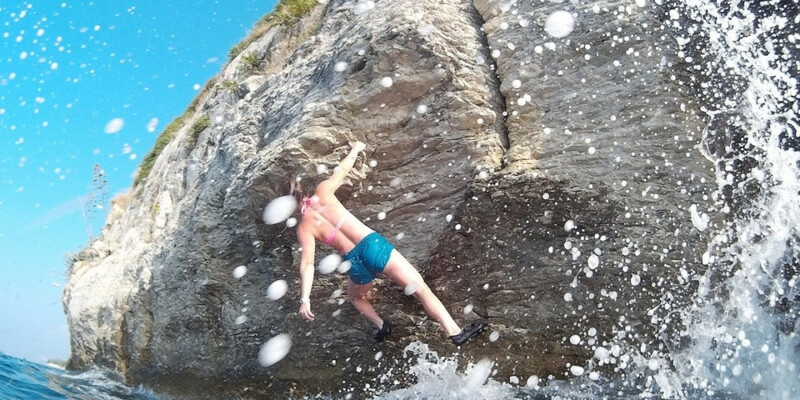 Deep water soloing is a new type of rock climbing in which you climb on vertical or overhang routes starting and finishing from the sea, wearing special climb shoes. 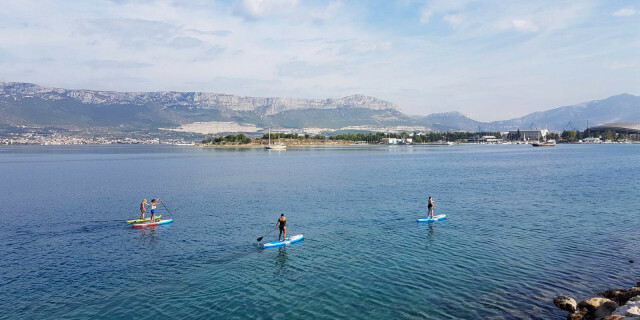 The town of Split has one of the oldest DWS climbing areas where you can reach the adrenaline rush of climbing high above crystal clear waters. 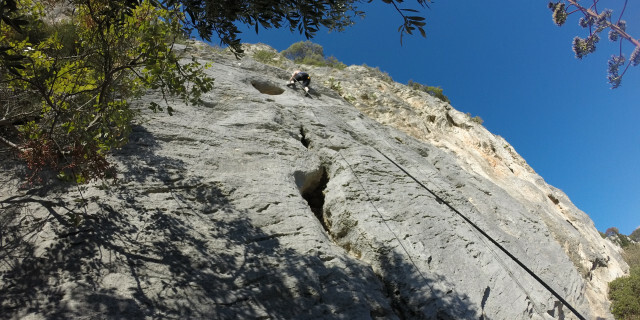 You can choose your own level of difficulty while our experienced climbing guides give you all the support with their climbing knowledge. 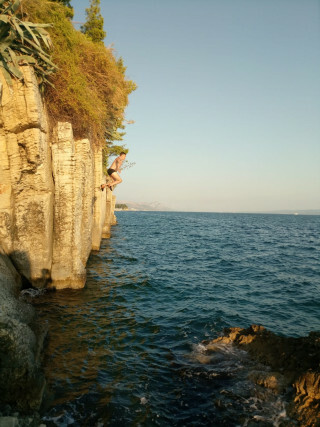 Pull yourself up bright limestone cliffs and then leap down into the water. Afterward, relax with a cold drink and admire the view from the Sustipan Park just above the DWS climbing area. You can also jump from hidden cliffs, trying various heights from 2 to 10 m (6.5 to 33 ft). 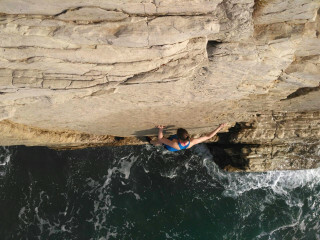 Then, climb out from the sea to do it all again. 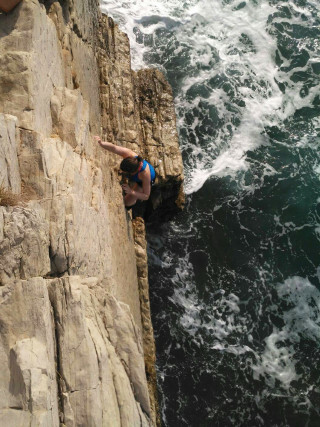 Spend your time under the sun free climbing, making a splash, and taking in the views from the Dalmatian coast.